For fans of Belly, a 20-year period of silence has finally ended — the band is back with the release of their long-awaited and much-anticipated third album, Dove. And they're picking up right where they left off. Dove comes 23 years after their second album, King, and 25 years after their seminal debut album, 1993's Star — and Dove drifts on a similar plane. 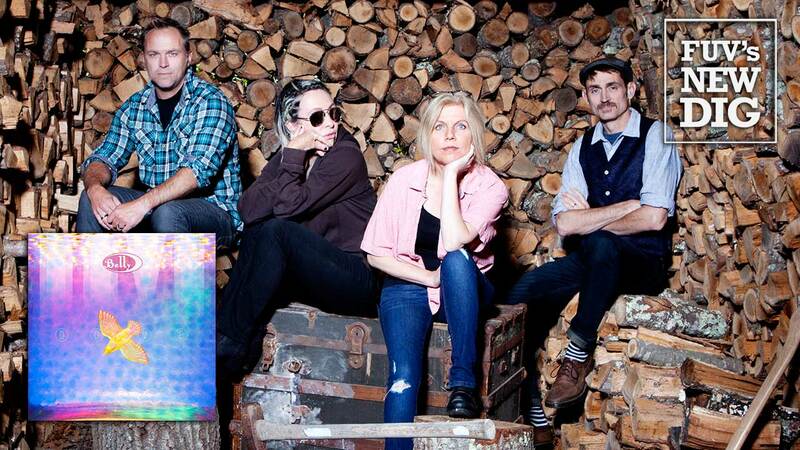 Each song possesses a sophisticated melody that takes time to develop while creating an atmosphere that envelops the sweet vocals of singer, songwriter and guitarist Tanya Donelly. Washes of electric and acoustic guitars give the songs a glimmering quality, like light reflecting off of cool, clear water. A vaguely psychedelic aura permeates some tracks, turning jangly guitar rock and power pop into dreamlike visions. That is the case with uptempo songs like “Stars Align,” “Mine,” and “Quicksand.” Dove takes a slightly grunged-out path on “Shiny One” and “Faceless,” the latter which flaunts rich lyrical imagery, like “When I paint this day, I’m gonna bathe you in light. Charging up the midway, daring anyone to stare. When I paint this day, I’m gonna paint you on fire, nameless." In the early Nineties, when alternative rock slipped into music’s mainstream, Belly's release of Star was fortuitously timed, with hits like "Feed the Tree" and "Gepetto." The Rhode Island-born band, which came together in 1991, was led by Donelly, already an established fixture in the alt-rock scene by her mid-twenties. She had co-founded Throwing Muses with her step-sister Kristin Hersh and she also was a founding member of the Breeders, with Kim Deal of Pixies. But Belly became Donelly's primary focus and she left both of her other bands. Belly’s initial lineup consisted of Donelly, guitarist and keyboardist Thomas Gorman, his brother Chris Gorman on drums, and bassist Fred Abong. Following the release of Star, Abong left the band and was replaced by bassist Gail Greenwood. With the revamped lineup in place, Belly released the underappreciated King in 1995. The band toured extensively but King's sales sagged and Donelly broke the band up the following year. Twenty years later, in 2016, Donelly, Greenwood and the Gorman brothers have re-emerged for Belly's second chapter. Dove is a rich and artful continuation of where Belly left off with Star and King. Despite the passage of time, Belly reclaims their legacy, which was so bright in the '90s, with Dove. Listen to a brand new FUV Live concert with Belly, recorded at Rockwood Music Hall, on Thursday, May 31 at 8 p.m. EDT and anytime in our online Vault.